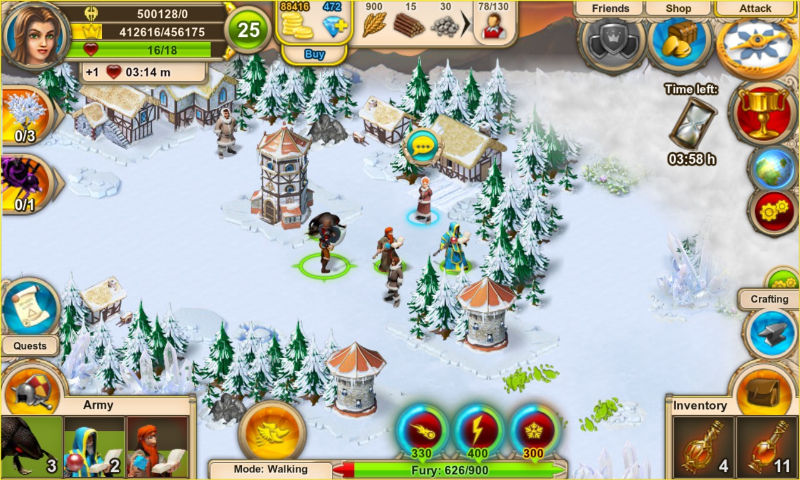 Rule the Kingdom is a 2.5D fantasy game available on all mobile platforms, as well as Facebook. 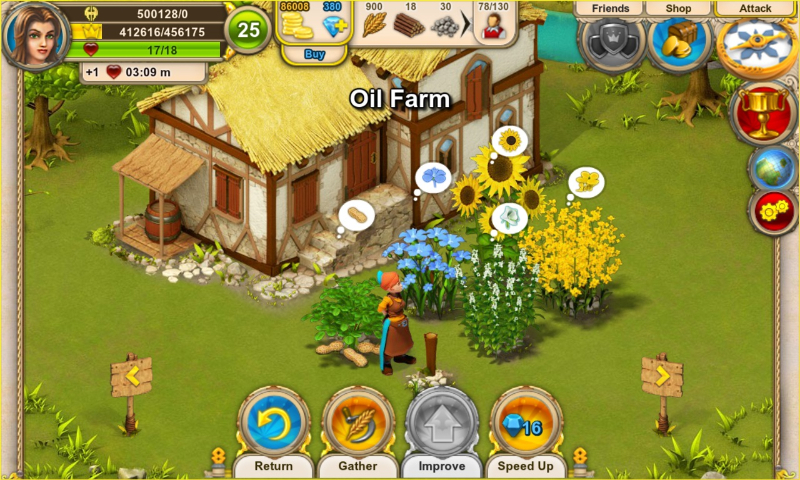 The game is a blend of RPG action, city-building, resource gathering, and storytelling. Exploration: Players battle through forests, deserts and tundra to become a true hero of the empire. Exploring the world fully can provide bountiful rewards and unique riches. 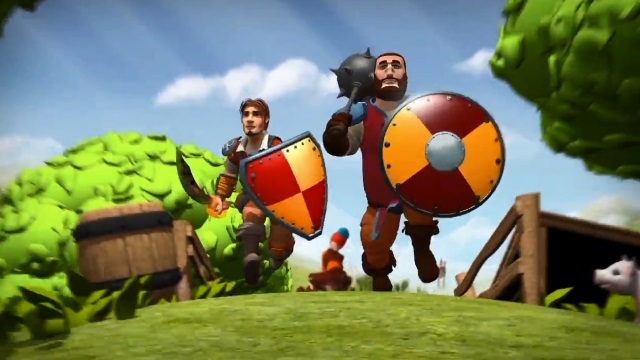 Hero Combat: Players can defeat legendary enemies with a loyal squad of hearty warriors. 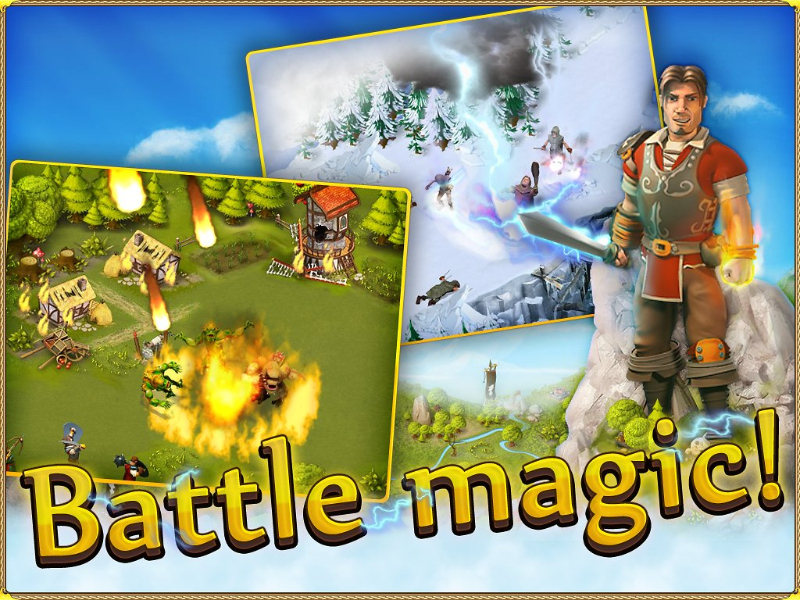 Shatter your foes with deadly spells; train your warriors to defeat the most dangerous monsters. Building and Looting: Find hundreds of items and enhance them with rare magical gems. 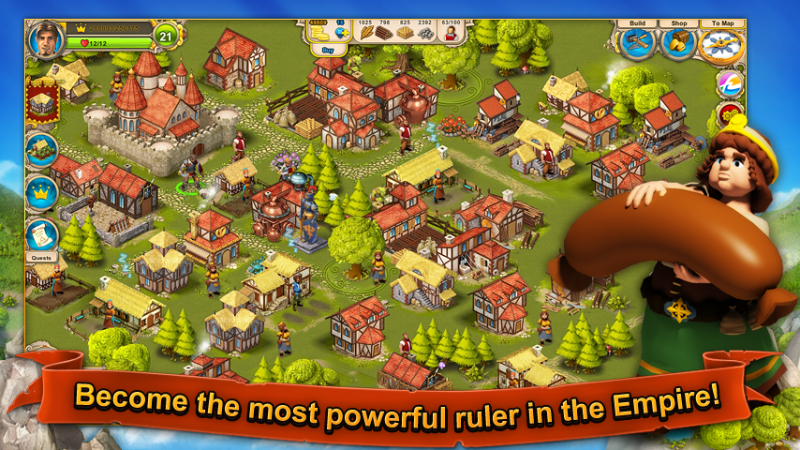 Construct dozens of buildings in your kingdom to help ease the woes of besieged villagers. Save the empire from evil in this strategy RPG, now available on Android.